When you need a close and smooth shave, a pre-shave treatment comes in handy. You can use oils or creams as long as they condition your beard or treat it to receive an even shave. Pre-shave treatments soften your facial hair just before you shave, making it easier for the razor to trim or cut it. They also moisturize the skin, letting the razor glide smoothly across your face. This not only makes the shaving process easy, but also reduces irritation that might occur after shaving. However, you need to choose a treatment that works for you to reap all the benefits. Some treatments will only make you greasy and messy without offering you any noticeable benefit. Again, these pre-shave treatments tend to clog up razors; especially oils and creams that are created dense. This means that you will always be rinsing your blade during the shave. This is a minor weakness, considering the benefits that you will get when you use oil and cream treatments before shaving. The market is awash with pre-shave treatments, which is challenging when you are shopping. When shopping, consider the ingredients. Natural ingredients are preferred. Again, ensure you are not allergic to any of the ingredients in the treatment. Secondly, consider price-quality ratio. We’ve selected some of the best pre-shave treatments here and offered a brief review for each. 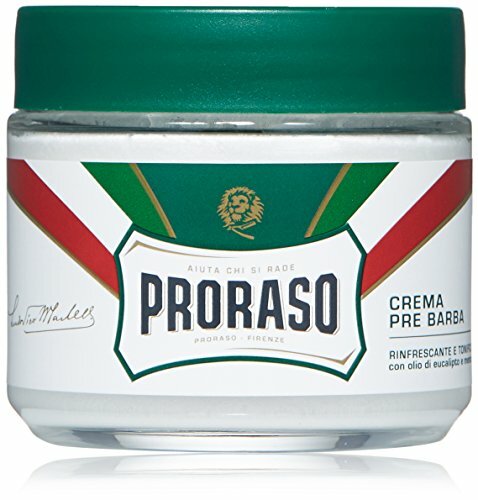 Proraso Refreshing and Toning Pre Shave Cream have been on the market since 1948. The cream was formulated to soften the beard before lathering, protect the skin, and let you have a close shave. Over the years, the cream has seen a number of improvements to make it what it is today. It is formulated with 97 percent natural ingredients with no parabens, no mineral oils or artificial colors, and no ingredients of animal origin. This ensures that the cream is safe for use by everyone, and it does not trigger allergic reactions. Key ingredients in the cream include eucalyptus, menthol, and glycerin. These ingredients tone the skin, remove purities, moisturize, and revitalize your skin before shaving. 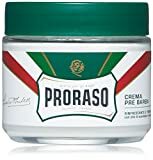 The plant extracts and natural oils that form the ingredients of this cream reduce irritation during and after shaving. You will only need a brush to apply this cream on your beards and let it settle for a few minutes before you shave. 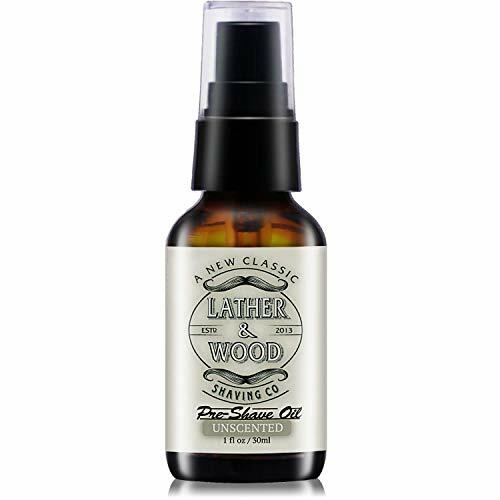 The Lather and Wood Shaving Unscented Pre Shave Oil is special in the fact that it features an all-natural formula. It comes as a blend of 7 natural oils formulated to give you comfort while you shave. The treatment is recommended for men who have tough beards, sensitive skin, and ingrown hairs. If you are prone to razor burn, this shaving cream is for you. The formula softens tough beard, conditions your skin, and enhances slickness for shaving comfort. You will only need a few drops to reap all the benefits of this treatment. Apply at least a minute before you shave to allow it to penetrate the whiskers. Unlike creams, you do not need a brush as you can rub the oil on your beard with your hand. 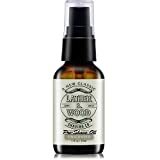 If you are in a hurry and have no time to apply shaving cream, you can shave with this oil. 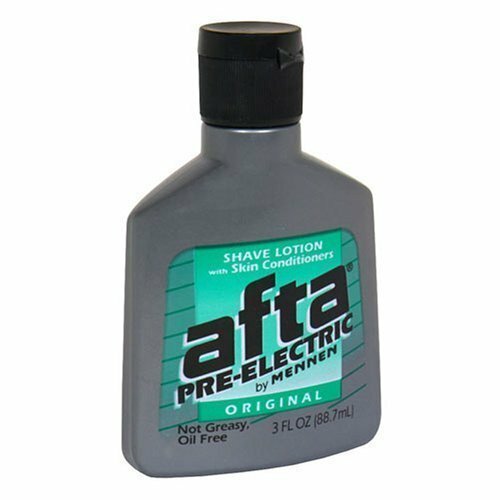 The Afta Pre-Electric Shave Lotion is a pre-shave treatment formulated to be applied before shaving with an electric razor. It comes in the form of a lotion, which ensures it is not greasy and does not run during application. Again, you do not need a brush when applying as you can use your hands. However, the lotion is alcohol based and may not work well with those who are irritated by alcohol-based pre-shaves. The ingredients of this treatment include SD alcohol 40, Carbomer, Cassaca Flour, Water, Ppg-15 Stearyl Ether, Fragrance, Bht and Tetrahydroxypropyl Ethylenediamine. During application, the lotion should be applied on a dry face and allowed to dry before shaving is initiated. When applied, the lotion softens the beard and moisturizes your skin. 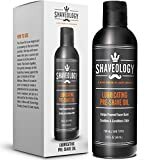 Shaveology Lubricating Pre Shave is formulated to lubricate the skin and soften the beard. It comes in the form of oil. All you need is to massage the oil on your beard to lock in the moisture, giving you a comfortable shave. The formula is a blend of three natural oils; these oils make the beard stubble and easily accessible. You can use this oil if you have sensitive skin that is prone to razor burns. Some of the ingredients in this pre-shave oil include castor seed oil, safflower seed oil, jojoba seed oil, avocado oil, lavender oil and olive fruit oil. The oil comes in a small bottle that is easy to carry. You need a small amount of oil rubbed on your skin. Continuous use reduces chances of irritation after shaving. 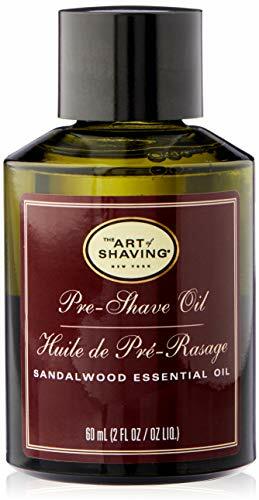 The Art of Shaving Sandalwood Pre Shave Oil is formulated for all beard types. According to the manufacturer, the oil protects your skin from irritation that might occur after you shave. It also protects you from razor burns by enhancing the gliding of your razor. It comes in handy when you are shaving with an electric razor or a straight razor. When applied to the skin and left to settle for a few minutes before applying shaving cream, the oil softens your beard and conditions the skin. Massage a little oil into your skin and leave it on the skin for a few minutes before shaving. The treatment is formulated with castor and olive oils. Sandalwood oil has been added to bring a sweet smelling aroma. With the sea of pre-shave creams and oils, you should choose a good treatment based on your needs, the condition of your beard, and your skin and your budget. A high price does not always mean quality; ergo, dig deep into ingredients and user reviews. 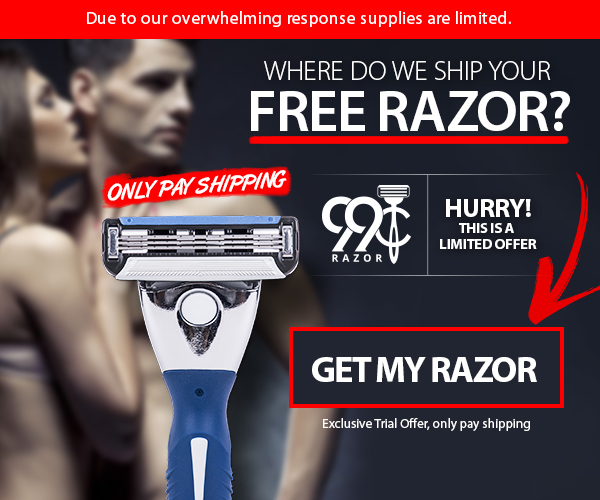 What’s your experience with pre-shave treatments?